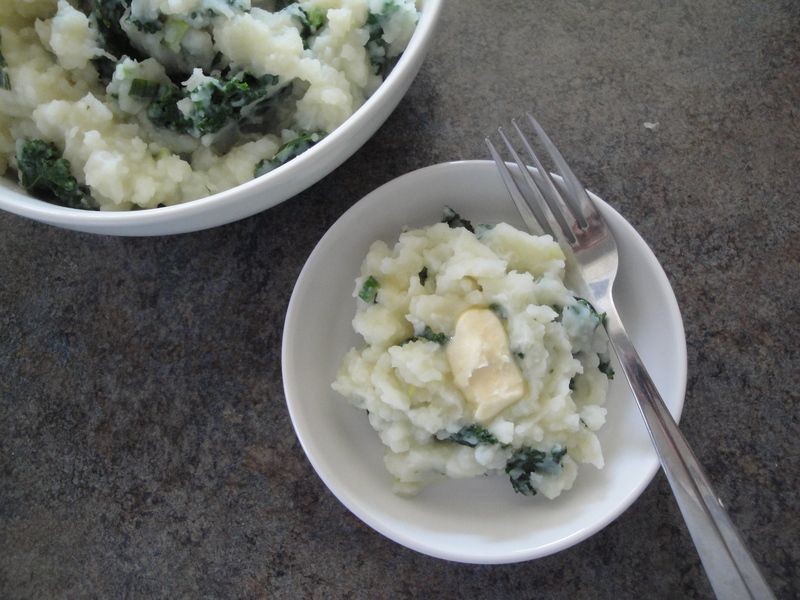 What in the world is Colcannon, you ask? 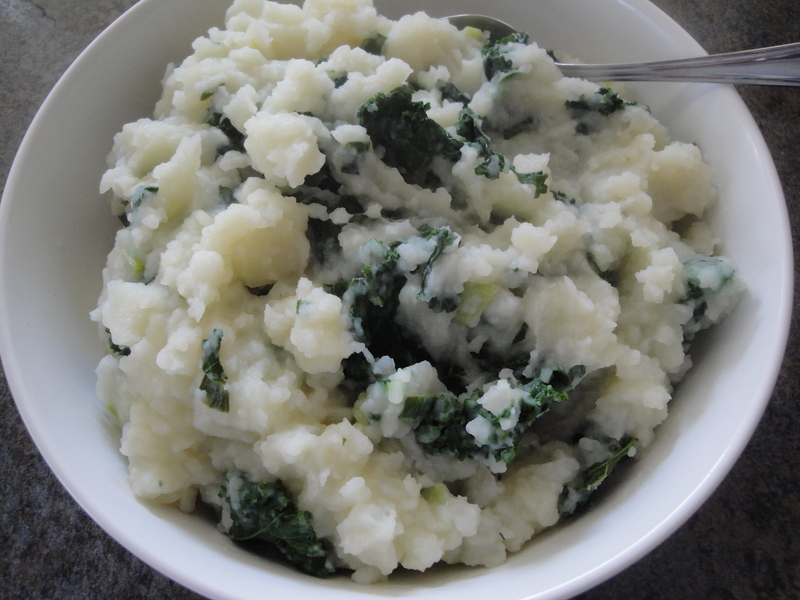 It’s really nothing more than mashed potatoes mixed with kale or cabbage, scallions, butter and cream and is usually served with ham. 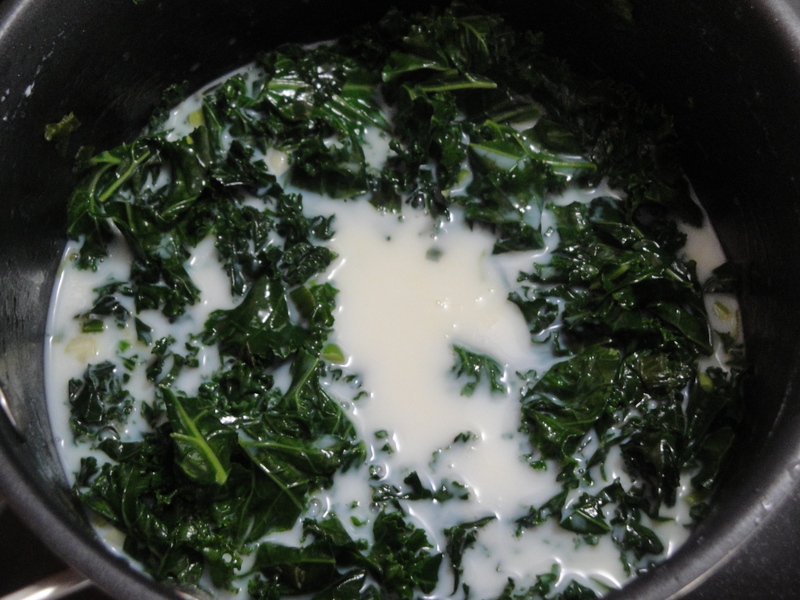 Irish food isn’t traditionally known for being “light fare” so in trying to lighten this up, I used kale, light butter, and skim milk. I don’t often make potatoes at home, not even baked potatoes. In fact, I think I usually only eat potatoes at Thanksgiving. 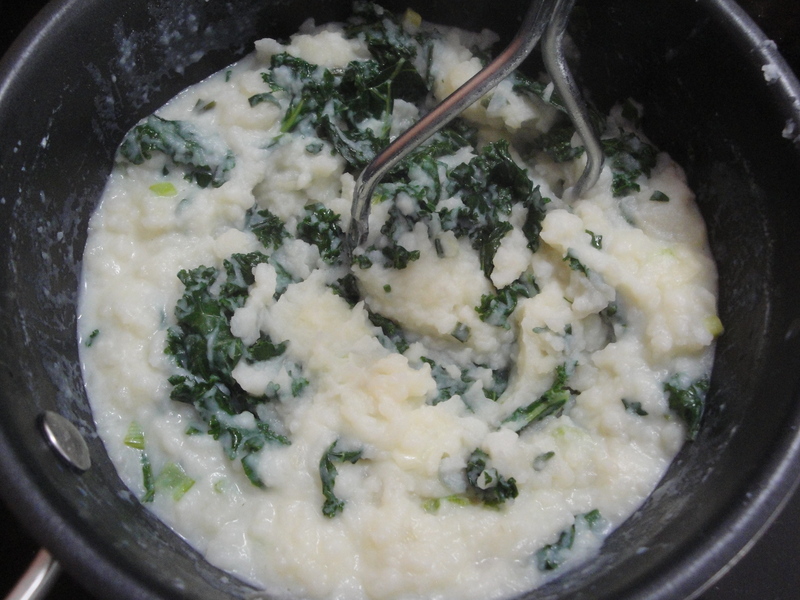 I never considered adding in a leafy green with potatoes but I like the idea of it! 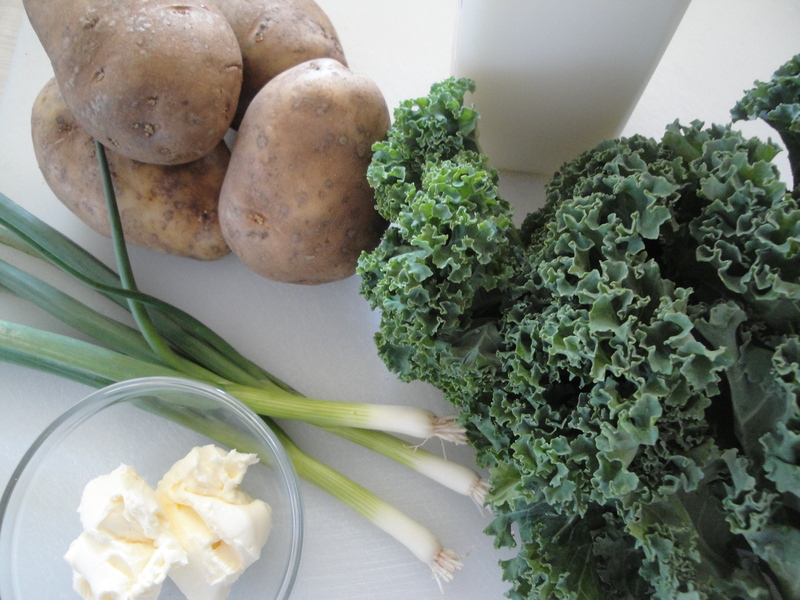 Kale works perfectly because it is hearty and can stand up to the heat of the potatoes without disappearing. 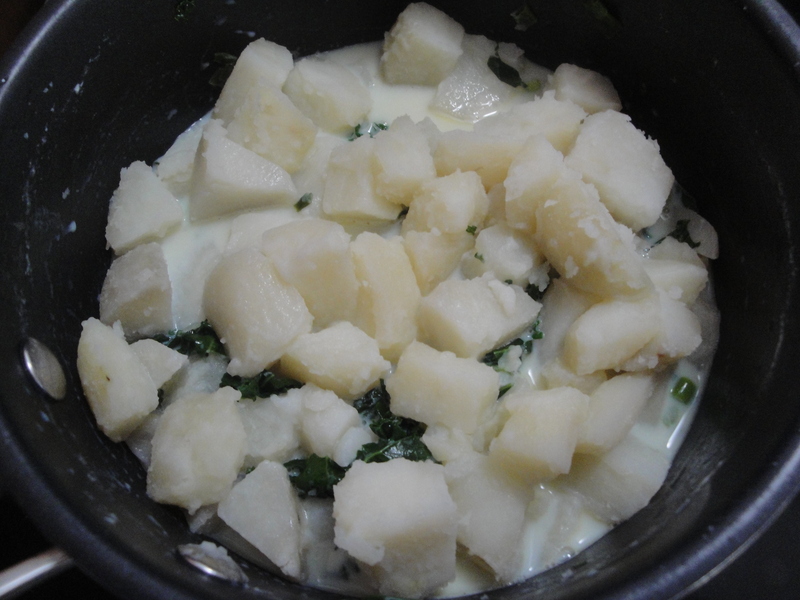 It also provides a complementary texture to the potatoes and makes the dish visually interesting. By the time you read this, I will either be laying on a Florida beach, at a preseason baseball game, or somewhere watching NCAA basketball. On St. Patrick’s Day, I’m sure I’ll be knee deep in Guiness celebrating life with my friends. Since I’m taking a few days off, I won’t be able to post anything again until next Tuesday so I hope you have a happy, fun and safe St. Patty’s Day! Sláinte! 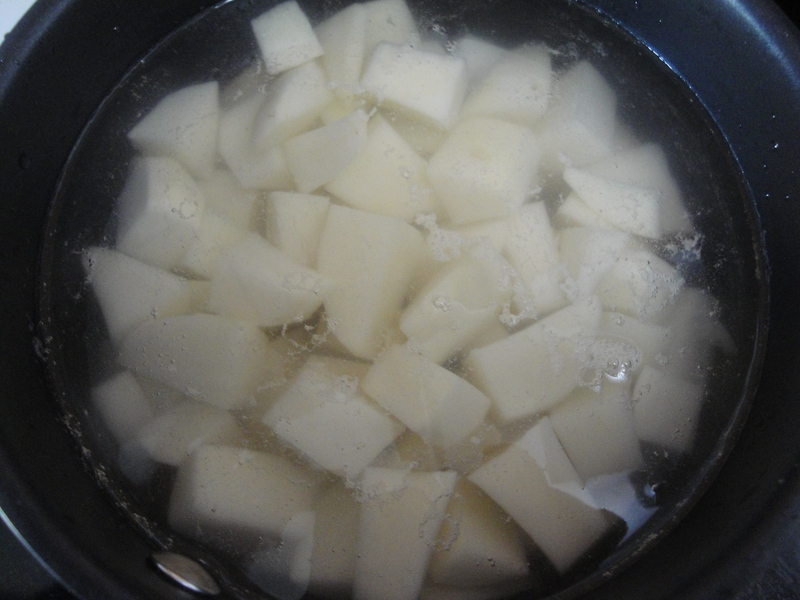 Cook the potatoes in a medium pot covered in cold water until tender, about 15 minutes. Drain in a colander. 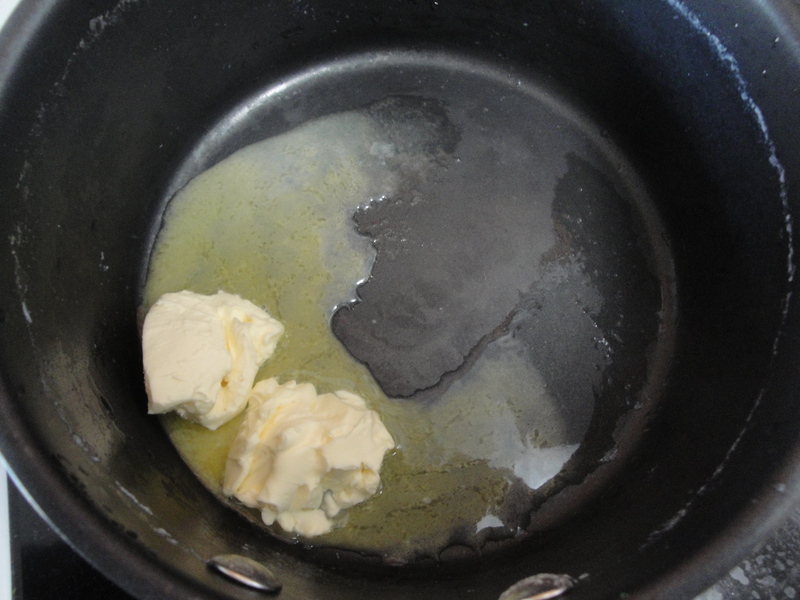 In the same pot, add in the butter and allow to melt. 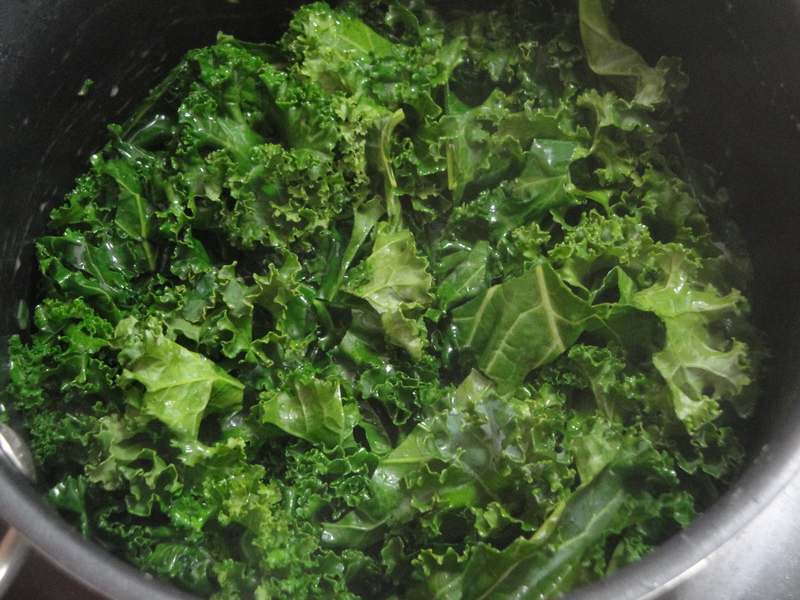 Add in the kale and allow to wilt. Toss in the green onions. Add in the potatoes and mix, using a potato masher to mash the potatoes. Season with salt and pepper and serve warm with additional butter if you like.